Refer NFPA 96 Violators to Flue Steam for Help Becoming Code-Compliant | Flue Steam Inc.
Fire inspectors and insurance companies can help restaurant owners comply with NFPA 96 by referring them to Flue Steam. The National Fire Protection Association is considered the authority on fire, electrical, and building safety, and as such they are responsible for developing and maintaining all kinds of vital guidelines for improving fire safety in homes and businesses throughout the country. 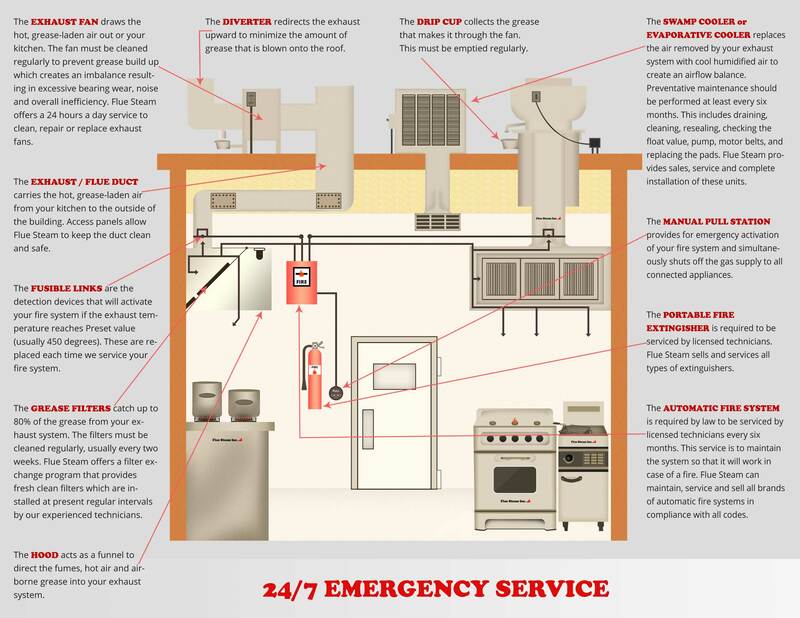 Restaurant kitchen fire safety is covered by the NFPA 96 Standard for Ventilation Control and Fire Protection of Commercial Cooking Operations. This section outlines many important code requirements that all commercial kitchen operators must abide by. Considering that NFPA 96 is subject to updates every few years, some kitchen operators may be unaware of changes that affect their compliance. Other operators may be out of compliance simply due to sloppy record keeping or ill-advised cost-cutting measures. In any case, whenever a fire inspector or insurance company comes across an LA area kitchen with NFPA 96 violations, they would do well to refer that company to Flue Steam for help. At Flue Steam, we are experts in kitchen air control and fire suppression, and we provide many important services related to NFPA 96 code compliance. NFPA 96 requires commercial kitchens to get frequent grease duct inspections to check for dangerous levels of grease buildup inside exhaust hoods and ductwork. These surfaces must then be cleaned to reduce buildup to a level that is not likely to present a fire hazard. 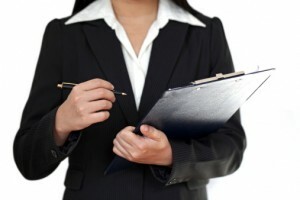 Failing to get the routine cleanings is a fairly common code violation. Fortunately, it is easy to correct. Just have the kitchen operator call Flue Steam and we will quickly send out a certified crew to remove grease by hand scraping the exhaust hood or steam cleaning the ducts. We will leave the kitchen operator with a “Certificate of Performance” sticker that makes it easy for fire inspectors and insurance companies to verify the kitchen’s compliance with NFPA 96. NFPA 96 also covers design, installation, and maintenance of automatic fire suppression systems. At Flue Steam, we help kitchen operators stay in compliance with twice-yearly inspections. We can also meet the code requirement that stipulates that the system must be inspected and reset following each discharge. As an IKECA member company, Flue Steam is always up to date on the latest industry standards for kitchen air control and fire suppression. You can rest assured you are helping restaurant owners to get quality service that will leave them NFPA 96 compliant when you refer them to Flue Steam.